Negative beliefs of who we are and what we are capable of can limit and define us. The mind is the most powerful tool available to us. It can be used to help us gain success or it can take us to the depths of failure. I recently read a story about an eagle. When you think of an eagle, what comes to mind? Many people imagine a large bird of prey, soaring high up in the air, with its huge wing span gliding gracefully. The eagle is called the king of birds and has very sharp vision. It can swoop down very fast from a great distance onto its prey. The old story goes that a man once found an eagle’s egg on the ground and put it with his chickens and the mother hens. The egg hatched and the young eagle grew up with all the other chickens. Whatever the chickens did the eagle copied them. He didn’t realise he was an eagle but knew he didn’t quite fit in. However, the eagle was surrounded by chickens so he started to behave like one too. He learnt to peck the ground and only fly a small distance. He thought that’s what you did, so that’s all he did and soon that’s all he was capable of doing. Then one day the eagle saw a magnificent bird flying high above him. He was very impressed at how this bird soared so elegantly. The young eagle looked up longingly to the sky above. Each day he admired the skill and grace of the King of the Birds unaware that he was the son of this amazing creature. Sadly he lived and died a chicken because that’s all he thought he was. 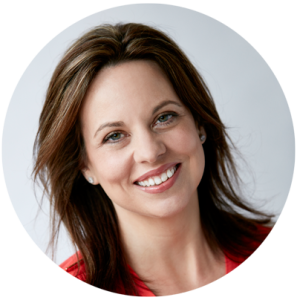 Rebecca Sanderson is a life coach and hypnotherapist. She helps people to release negatives beliefs to enable them live the life they were destined for not the life they thought they should live. You can find out more about life coaching here . Insomnia – How writing a to-do list can help insomnia!